Welcome to The Perranporth Rugby website. The club was established in 1962 and has had a roller coaster ride since that time. Our youth section was established in 2005 with one team and now boasts teams in all age groups from micros to u16s. The 2017/18 season also saw us start a girls section for girls aged in school years 7 and above. 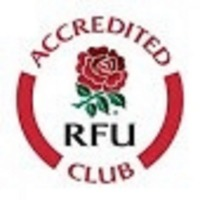 We consider ourselves a social & family friendly club and are proud to be accredited by the RFU. We always welcome new players in EVERY team. Although there are a couple of teams that would benefit from a boost of players. The Brewers will welcome you if you fancy putting your boots back on! Our u13s boys (school year 8) enter into the 15 aside game in the 2018/19 season and would like to build their squad. Under 9s (school year 4) welcomes boys & girls. We follow the rules of age grade rugby set down by the RFU. This introduces rugby skills at different stages starting with tag rugby. We promote Teamwork, Respect, Enjoyment, Dicipline and Sportmanship. All good life skills! We have outgrown our current clubhouse and submitted plans for a new build. In March we were granted conditional planning permission. So as we look forward to this exciting time in our clubs history. We promote Teamwork,Respect, Enjoyment, Dicipline and Sportmanship. All good life skills!